In trying to be charitable, I don’t see academics as far gone on the dishonesty scale as politicians or used car salesmen, but you know the joke, “What is the difference between a politician and a prostitute? Answer: There are some things a prostitute won’t do.” So, while I don’t place academics, even celebrity and semi-celebrity academics in the same doo doo category of politicians; I might dump them in them in the box labeled, “prostitutes.” How’s that for anchoring? I know, not exactly complementary. For those who have never heard of a heter, allow me to explain. For example, strict Orthodox Jewish practice forbids contraception, just like Catholics do. However, if the wife calls the rabbi and says, “I can’t deal with all these kids and if I have another I think I will end up in the mental hospital,” the rabbi has the authority to give her a heter, where she is given permission to use birth control, thereby preserving the integrity of the law, but allowing flexibility. The Rule of Funny reads: As long as it leads to laughter and mirth, and no small children, puppies or grandma’s crystal is endangered – go for it. 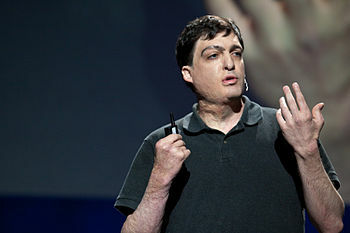 Bless me Dan Ariely, for I have sinned. Back in the summer of 1985, I stole a roll of upscale toilet paper from the Tel Aviv Hilton. Now, since you were raised in Israel, you know what run of the mill toilet paper was like in Israel in 1985. Hopefully, technology has improved since. Everyone knew you could easily substitute the stuff if you ran out of sandpaper, and that is really not an exaggeration. What do you suggest for my penance? I could say 100, “Hail Charmins,” and send a 12-roll pack to Hilton Headquarters (even though top quality Israeli 1985 toilet paper would barely reach Scott one-ply standards.) Maybe I could further absolve myself by picking up a couple hundred dollars worth of Kirkman brand at Costco and sending it to underprivileged children who have nothing to wipe their tuches with, instead of buying expensive Huggies wipes for my over-privileged high-school and college student kids who still aren’t capable of performing this function adequately without extensive direction, feedback, encouragement and supervision. I know because I do the laundry. Well, I used to anyway. One of the speakers questioned whether it was moral to buy his kid a new X-Box, while children in third world countries didn’t have clean water or adequate food. How do you know that the X-Box bought for your ( and my) spoiled, over-indulged, ungrateful brats doesn’t provide at least slave wages along with horrible working conditions for said third world children, with the other option of zero wages and working conditions? Sharing the family secrets is so much fun, so let me tell you more about that marvelous and eye-opening summer I spent in Israel in 1985. It began with a lie. The plan was to go with a neighbor/friend and stay with friends of hers, who I had also met previously. At the last minute, the friend backed out. I never informed my parents of that fact, and replied with, “uh huh,” whenever they mentioned her role in the trip. Since this friend of my friend wasn’t really a close friend of mine, she no longer invited me to stay with her, but agreed to pick me up at the airport, which was way out in the middle of nowhere back then. I also spent a week alone in Greece. But this friend of my friend did arrange for me to stay with some people she knew in Jerusalem for payment when I first arrived and I could leave my luggage there after I finished touring Jerusalem, while I trekked around touring and visiting friends and relatives. Israelis take dishonesty to a whole new level. Perhaps one reason is because relationships are closer, and helping a friend or relative beats loyalty to the company, and the government is the devil, so no one feels any guilt about sticking it to the devil. Also, there is a genetic memory of being the underdog, outsider and not allowed a place at the table or fair treatment in navigating the pecking order. So, rather than accepting contentment with the under table crumbs or agreeing to remain in your place under the feet of your intellectual, moral and achievement inferiors, the only thing one can do is take matters into your own hands and learn how to level the playing field (or more than level the playing field for spite or good measure) by scamming the system and the powers that be. And the more clever and outrageous (chutzpahdik) manner you can employ to reach your objective, the better. All the more for stories to regale the family with at the obligatory get-togethers. Number two son and I discussed the crumb situation over sushi today. If faced with the requirement of kneeling under the table for crumb-licking, I would have no qualms about stealing food from the kitchen or slipping a bribe to the help. My son asked about the risk of getting caught in such a nefarious deed. I believe the risk is acceptable. Go for it. People there also don’t just have their nose in your business; they have their whole body. And if they are your relatives, even if they are distant relatives and you have never met them before in your life, they believe they are divinely endowed to interfere, tell you what to do and manipulate things if they believe it is in your best interest. It is a nation of Jewish Bubbies and Zaydies on steroids, who are determined that you get married, handle your finances properly, stay out of trouble and avoid too much fun for your own good. The first family relations I visited for dinner lived in the tony French Hill suburb of Jerusalem. Larry, who is some sort of second cousin I think, went to Israel for a vacation, almost 40-but-still-single, shy and quiet, sometime in the late 1970’s. Shunned by the Miami JAPs his mother tried to fix him up with, he was likely far more desirable and viewed as a “catch,” by Israeli women late-twenties-but-still-not-married – considered a great curse at the time, and met his wife and decided to leave his thriving but boring law practice in Miami and work as a free-lance writer for several newspapers and magazines, including the Washington Post. His beautiful wife was a teacher, and they had two lovely, elementary-aged children. She made a delicious meal, and nothing about their normality prepared me for the other relatives I was yet to meet. My Nazareth born Arab Christian friend from Denver made arrangements for me to stay with some of her relatives. She was the one who warned me, “People will ask you personal questions that Americans consider impolite like, ‘Why aren’t you married,’ or, ‘How much money do you make?’” Her very cute but only 16-year-old cousin Adel* appeared to have a crush on me even though I was almost ten years older than him. He was eager to give me a ride and drop me off in Haifa, and made suggestions of immoral and probably illegal acts I might want to engage in with him for most of the ride. I politely declined, and told my friend all the dirty details when I got home, which she found hysterical and I believe repeated to her family in the US, and word probably made it back to Israel via the family grapevine. Arriving in the Haifa suburb where my relatives lived, my cousin Shoshana* was 25, the same age as I was at the time. Shoshana became my interpreter with the rest of the family, as my Hebrew was atrocious, and my older relatives spoke only broken English. Unlike myself, still looking for my Jewish doctor/lawyer/Indian chief prince, Shoshana had been divorced after a 2-week marriage. She told me the story. When she was about to turn 23, considered nearly hopeless old maid status at the time, her family pressured her into marrying the son of a family friend. “Just give it a chance,” they begged. So she did. I asked her what went wrong so quickly. “If I may tell you something personal, do you know how (yeeech) terrible it is to go to the bed with a man you don’t love? Never having this experience of being intimate with someone I didn’t love or wasn’t deluded I was in love with, I questioned, “It must be like making love with a stranger?” “A stranger would be better. At least with a stranger there would be some feeling. I didn’t feel anything for him,” she replied. “Even though I am now a divorced woman, I am happy to be rid of him. In Israel, a divorced woman doesn’t go to the bed; a divorced woman runs to the bed,” she explained, trilling her r’s and emphasizing the word, “runs.” “It’s the same in the US,” I confirmed. Following the wedding night consummation of their marriage, a few days into the honeymoon Shoshana decided she couldn’t continue with this. Her new husband attributed her romantic reluctance to her inexperience and shyness with these things. But it was their honeymoon, and I suppose he expected to get some. Shoshana called her older sister and explained the problem, who drove to the honeymoon destination and picked her up immediately, and then gradually broke the news to her parents, leaving out the details. I remember Shoshana’s older sister, even though I forgot her name. When visiting her home, her watchdog, I believe a pit bull mix, jumped on me. “Down Nuries,” I commanded. “Nuries doesn’t understand English. You have to speak to her in Hebrew,” my cousin replied calmly, as if to say, “Didn’t you know that?” I was still getting, up and down confused in Hebrew. See, I didn’t remember this cousin’s name, but I remember the dog’s name, and I suppose I can use the dog’s real name here. “This is an expensive area and we have a lot of break-ins.” I learned that, “a lot of break-ins,” meant one in the past year, along with this crime: Two criminals had parked their van outside a home while no one was there during the day, and thought they were leaving undetected with valuable Persian carpets when a neighbor arrived home and asked, “Where are you going with those carpets?” “Oh, we are taking them to be cleaned,” replied the thieves. “Can you come get mine too?” The neighbor asked. I heard the same story about a tv being taken for repair, so perhaps this was a precursor of the ubiquitous urban legend. While Shoshana was happy to be single again, things didn’t look so good for her erstwhile husband of two weeks. Arik* became the laughingstock of the community, and no parents of eligible daughters would touch him with a ten-foot shofar. His upper-class by Israeli standards family solved the problem by skillfully love-bombing a beautiful, penniless, young Russian immigrant 18-year-old who left her family behind in the former Soviet Union, when they made her acquaintance as she visited one of their shops as a customer. Alina* was happy to accept the semi-arranged marriage and they were married less than 6 months after the first marriage debacle, and the family insisted she seek to become pregnant immediately, to put the gossip to rest, and Alina was happy to be compliant. Despite my aunt’s lack of success in matchmaking with her own daughter, it didn’t stop her from trying with me. While I was taking a bath she walked in on me without knocking, sat down on a nearby stool and began to speak with me. I found this very strange, and no one I asked felt this was some Israeli practice that one wouldn’t find in the US, like pushing people aside on buses while you say, “slicha,” excuse me, or asking personal questions about money or your romantic life. In this vulnerable position, she kept pressuring me to at least be willing to meet (how could it hurt?) a 38-year-old single son of an ambassador. At 25, a guy 38 and single sounded like he was probably living at home, a momma’s boy and too nebbishy for my yuppie sensibilities, unless he was filthy rich. My Aunt Daria* was not exactly my aunt. My grandmother left Bucharest to live with her relatives in New York at the tender age of 13. Her brother escaped Romania and arrived in British Palestine ahead of Hitler in the 1930’s. Daria’s husband was the son of my grandmother’s brother. My grandmother had bought her brother and his family a house in Nahariya for $1500, which was a lot of money back then. My Aunt and Uncle used it for storage for their business at the time. My paternal grandparents visited Israel only once in their lifetime in the 1950’s. My grandmother purchased a pair of 18K gold filigree earrings that some think look like doves and others think look like angels with uplifted wings, that I asked my dad to give me following her death while I was in college. I wear them all the time. I like to be honest and open, as that is the sort of person I am. But I had to realize that different cultures interpret things differently than they may be meant. I replied that while I was working and attending school in Denver, there were actually more educational and career opportunities in our nation’s capitol. I desired change, adventure, “the geographic cure,” – which sometimes works, and had determined not to spend the rest of my life within 50 miles of where I was born, as the vast majority of people did back then, back there. No, it was not difficult being more than 2,000 miles away from my family; it was wonderful and freeing. However, this sort of talk caused listeners to suspect that the reason I wanted to move so far away from my family was to live a promiscuous and wild lifestyle, which was the farthest thing from my mind, although I did rent an apartment in trendy Glendale, then sporting the title of having the most bars/clubs per square mile. Happy hours were great for starving students, and I learned which club had the best spread each night. I also suspect that many Israelis also repressed their own displeasure with the extraordinary influence of family and lack of privacy, so secretly resented my throwing off the chains that held them fast. So, the next time someone asked those questions, I replied that I moved to Denver for school/work. I just nodded, and sometimes rolled my eyes if I felt brave, at the sympathetic looks about how difficult it must be to live so far from the love and support of family. My Aunt Daria was also rather disgusted with my lack of language flexibility, and it is true Americans don’t value bi- and multi-lingual skills. “Parlez vous Francais?” In my aunt’s generation, every cultured and educated woman spoke French. “Sorry, I took Spanish in high school because it was easier.” “Grandma no teach you Romanian?” My grandmother never even taught my dad or his brothers Romanian, and since her husband was US born, the only time she used her childhood language was when she wrote to her brother in Israel. “Yiddish?” She inquired. “Just bad words, davarim lo tovim,” I replied. “Davar lo yafeh,” (a not nice word) she corrected. So we continued with broken English on her part and broken Hebrew on mine, unless Shoshana was around to translate. So, while I turned down the ambassador’s son proffered to me by my aunt, I met someone of my own choosing, to their dismay, at a family function. Eitan* was a cousin of a cousin, distantly related and hopefully no blood connection was involved. He was rakishly handsome and could have been an actor or model if he were taller, although I understand Tom Cruise is not even 5’7″ and wears lifts. Eitan was perhaps 2 inches taller than me, and his short stature didn’t bother me as I am about 5’3 1/2 drawn up to my full height. Eitan was a more respectable 27, and we were attracted to each other right away. We slipped away from the family gathering and went out for a romantic walk on the beach, resolving to see each other again soon. But the family didn’t think so highly of Eitan. He had been divorced after a short marriage, but so had their daughter. They couldn’t really explain to me what they didn’t like about him. He went back to his home in Nahariya and phoned my Aunt’s home to speak with me, and she told him I had left the country and gone home. Eitan said he contacted the airport to see if I had left, and they couldn’t give out that information, but he found out from a contact that I hadn’t left. I asked for his phone number so I could call him, and my relatives told me he was called away to do his army service. I didn’t even know his last name. Something didn’t seem right. But since I had moved 2,000 miles to get away from my controlling, overbearing family, I wasn’t about to spend my vacation with more of the same. Shoshana offered a trip to Eilat to get my mind off the matter, but it wouldn’t be too much fun with her, as although she was nice and accommodating, her preferences in recreation were too conservative for my tastes and she lacked my sense of adventure. So, I took off for a hostel and joined up with a group of British girls on holiday, which is what the British call vacation. We decided to visit the ancient city of Safed (S’fat.) Over welcoming cocktails and snacks, the Moroccan owner listened to my story and sympathized while he tried in turn to seduce each of us. He saw my situation as a sort of Romeo and Juliet. He encouraged me to go find my true love, and gave me the address and phone number of a city authority in Nahariya, where Eitan lived. Nahariya was a small town, and although I didn’t know my chaver’s last name, I knew all sorts of things about him. I knew he owned a business with his father that built roads. I could describe what he looked like. I had my other relatives’ names and the names of their businesses. My Aunt Daria and her husband’s business had its headquarters in Nahariya where they produced candy to sell to retail. I spoke with several people at the Nahariya office who were eager to help me. One person figured out who I was talking about, and put in a call to Eitan, who was not doing his military reserve duty. He arrived at the office in 15 minutes. What a wonderful reunion. Only in Israel. After a couple weeks Eitan really was called up for his reserve military duty, and I departed for some more touring. Tired of hostels and imposing on friends, and certainly wary of relatives, I splurged for a week in a small, but nice hotel in the beach resort of Netanya. It was $18 a night including the humongous Israeli breakfast, which fit my student travel budget. The night manager was a blonde Arab Christian, and I hadn’t seen many European looking Arabs before, but have heard they are descended from Arab women raped by Crusaders during the middle ages – not that you would talk about something like this. Yousef* or Joe as he asked to be called, said he didn’t like to eat dinner alone, and asked if I would like to join him. He was very polite and spoke perfect English, so I agreed. He asked what I would like for dinner and told me he would get anything I wished. I had eaten earlier, but said I wouldn’t mind dessert. He asked what I wanted for dessert. I wondered if they had cheesecake. I love the Israeli-style cheesecake; it is more cheese and less cake, less sweet than the American version. Joe excused himself and went back into the kitchen. He brought out an expensive brand champagne and delicious appetizers of all sorts like stuffed mushrooms and cheese canapes. He told me that he had been briefly married to a Swedish woman, and had dual Swedish citizenship. I asked what he thought of Sweden and its people. Were they nice? “They’re nice,” he answered. “Nice and cold.” Sure, I can imagine that a passionate, expressive person of Mideastern background might feel out of place among the taciturn, non-emotive Nordic types. You know the joke. “Olga, when I married you 30 years ago, I told you I loved you. If anything changes, I’ll let you know.” Joe retreated back to the kitchen and came back with a waiters’ tray filled with platters of filet mignon, grilled chicken and an assortment of salads and side dishes. Joe ate heartily, but I only had a few bites. He called another worker, spoke to him in Arabic, and the worker expertly cleared the table and returned with two different kinds of cheesecake and some high end French brandy with snifters. I invited Joe up to my room. Now, I know what you are thinking, but that was not the case. I had brought several American tee-shirts to give as gifts and had three different ones in my suitcase. I wanted Joe to pick the one he wanted and keep it as a gift. Really, that was all. He wasn’t my type and Joe had to go back to work. The desk clerk at this hotel was also a really nice guy, a tall, dark and handsome Moroccan, and we would sometimes chat as I asked him about places to visit and transportation. It didn’t take him long to proposition me and get down to business. He asked if I would marry him for $1,000 so he could get a green card. I declined, and reported that an Iranian student who lived in my apartment complex in Denver offered me $5,000 to marry him so he could get in-state tuition for medical school, at a considerable savings. “No, that is too much. How about $2,000?” I wasn’t aware that we were negotiating price. “And it doesn’t have to be a real marriage…but if you like, it can be.” My relatives in New York asked me later what sort of privileges came with the $1,000 marriage. I had left my contact info with Eitan’s mother in Nahariya as I moved about, so he called me to let me know he was getting the weekend off to attend a wedding in Tel Aviv. He picked me up at my hotel. Arriving at the celebration, I was amazed at how elaborate and ornate the festivities were. I would have to say that this event wasn’t so far off from what one would expect for a wedding of a celebrity or very wealthy person. This was beyond what you would find at your typical daughter of well-heeled orthodontist’s reception. There were several hundred guests and the event was held outdoors in a lovely garden with waterfalls. In Israel, couples are expected to invite everyone and their third cousin twice removed to their nuptials, and I was informed that most of the time the refreshments are nothing like this. There were dozens of tables laden with every kind of food, and costumed waiters kept bringing out more. I stood by a many tiered arrangement taller than myself of delectable French pastries, struedel, and other items too numerous to name, including various fancy truffles. There was a free-flowing open bar that would produce any libation desired and a live band and master of ceremonies to keep the festivities going. Knowing that the Hilton professed a kosher kitchen, I asked Eitan if I was seeing what I thought I was seeing among the platters. “Yes,” he said. “That is steak lavan (white steak.) “Steak lavan,” is a euphemism for pig meat. I questioned Eitan about how this young couple, both entry level, recent university graduates employed at the Hilton, could afford such an obviously costly reception. He informed me that the bride and groom’s co-workers had arranged the details of the wedding, with the Hilton, unbeknownst to them, paying the astronomical bill. A cute girl who was dressed very revealingly went after Eitan rather aggressively. Back then it seemed that once a woman was in her mid to late twenties, she was desperate to marry. Perhaps part of the problem was that Eitan had introduced me as his cousin, and I was his cousin’s cousin of some sort. Eitan seemed to be responding to her attention, which upset me a great deal. Slutty man-stealer, zonah asked me point blank if Eitan was my ben dod (son of uncle = cousin) or was he my chaver? (boyfriend) In retrospect, I was leaving in a few weeks and she would be staying. But it still bothered me, as I didn’t know anyone else at the wedding, and I wouldn’t speak to Eitan all the way back. Okay, so perhaps the family was right, but they could have explained things to me and allow me to make my own decision. I know, fat chance of that. But I did manage to stuff that lovely, almost American quality tp into my large purse, that saw me through the remainder of my trip.